Can you add an internal SSD to the HP Envy 750-197c Desktop which has a 2TB drive installed? DMSIceman, welcome to the forum. Yes, you can move the HDD and install a SSD. You will have to buy at least a SSD with 128 GB. Here is the Data Sheet for the computer. The best way to install a SSD is to leave the current HDD as it came from the factory. Connect the SSD to another SATA port on the motherboard. Install the Data Migration software provided by the SSD manufacturer on the HDD. Once it is installed, open it and follow the instructions carefully. You would select the SSD as the Target. After the data is transferred from the HDD to the SSD, you can disconnect the HDD and boot the computer. It should boot to the SSD. 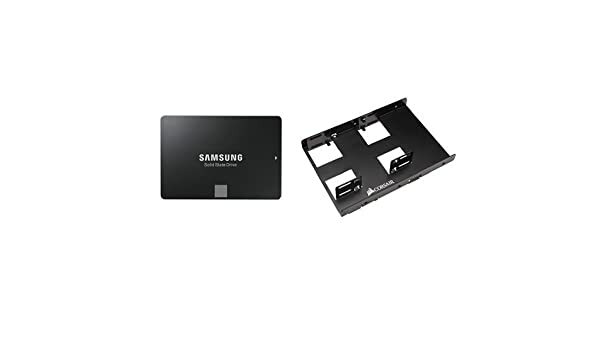 Then, you can disconnect the SSD to the first SATA connector and move the HDD to another bay and connect it to another SATA port on the motherboard. You can use it for storage. I like Samsung EVO SSD's. Samsung provides its Data Migration software to clone the HDD. Also, they provide their Magician Software to maximize performance of the SSD. You can find all of the software at the bottom of the page in the link that I provided for the EVO. The Samsung SSD's have been good about booting in HP computers without changing any BIOS settings. You will need to buy an adapter to allow the 2.5" drive to fit into a 3.5" bay. Please click the "Thumbs up + button" if I have helped you and click "Accept as Solution" if your problem is solved. I am glad that you found the port, @vipatter. When you say "You will need to buy an adapter to allow the 2.5" drive to fit into a 3.5" bay." is there a particular product that you can recommend? I want to make sure I purchase the right accessory. Would this mount work in the HP Envy 750-197c? @natbros, welcome to the forum. The SSD and adapter in your link are what I would have recommended. The Samsung EVO 850 is a great product. The Samsung SSD's seem to work best with HP BIOS's. I have a EVO 840 and have used it for 3 years with very good results. For future reference, starting your own thread will get more responses. Once a thread has a Solution, the only members that will respond are those who have responded in the past.